Recently, the design and construction team of SmithGroupJJR and JE Dunn Construction celebrated the dedication of the new $135 million Energy Systems Integration Facility (ESIF) at the Department of Energy’s National Renewable Energy Laboratory (NREL) campus in Golden, Colorado. A model in sustainable design and energy efficient performance, the ESIF creates a new home for scientists and engineers to collaborate on the development and delivery of renewable energy technologies. Housing the most powerful and energy efficient data center in the world dedicated solely to renewable energy and energy efficiency research, this advanced research complex will transform the nation’s energy infrastructure. SmithGroupJJR, an architecture, engineering, and planning firm, designed the three-story, 182,500-square-foot research complex, and JE Dunn Construction performed as general contractor for the design-build venture. Located southeast of the existing SmithGroupJJR-designed Science & Technology Facility, the ESIF is the nation's only facility that can conduct integrated megawatt-scale testing of the components and strategies needed to safely move clean energy technologies onto the electrical grid "in-flight" at the speed and scale required to meet federal policy. The ESIF incorporates the best in energy efficiency, environmental performance, and advanced controls using a “whole building” integrated design approach that complies with Energy Star standards. SmithGroupJJR and JE Dunn worked together to support the Department of Energy’s goal to develop an energy efficient building that imparts minimal impact on the environment. The ESIF is designed to earn a LEED Platinum rating from the U.S. Green Building Council and is anticipated to become the highest certified facility of its type to include a high-performance computing data center as a major building component. 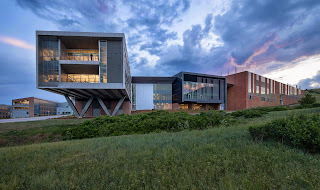 Consisting of 14 laboratories, a high-bay control room, outdoor testing pads, an office building, and a computing data center, the facility houses 200 researchers dedicated to delivering emerging solar, hydrogen, biofuel and wind technologies to the mainstream marketplace. Central to the laboratories is the Research Electrical Distribution Bus (REDB), the nation’s first integrated, megawatt-scale hardware-in-the-loop real-time simulation system. The REDB allows researchers and manufacturers to conduct integration tests at full power and actual load levels in real-time simulation and evaluate component and system performance before going to market. A petascale computing data and visualization center extends the ESIF’s research capabilities and enables large-scale modeling and simulation of material properties, processes, and fully integrated systems that would be cost-prohibitive to study by direct experimentation. The visualization center offers the ability to experience these complex systems simulations in a three-dimensional, immersive virtual environment. The ESIF office building has achieved an energy consumption rate (EUI) of 23.0 kBTU per square foot annually, 74% better than the national average. Power usage effectiveness (PUE) rate for the data center is 1.04; the national average data center PUE ranges between 1.5 and 2.0. JE Dunn Construction has 20 offices in 14 states (www.jedunn.com) and maintains local offices in Denver and Colorado Springs, providing construction throughout the Rocky Mountains. SmithGroupJJR’s (www.smithgroupjjr.com) Science & Technology Practice has completed the planning and design of over 18 million square feet of academic, corporate, and government research laboratories across the United States, ranging from small laboratory renovations to large research campuses. Tom Gibson, P.E. recently became a Certified Recycling Professional through the Professional Recyclers of Pennsylvania (PROP), a trade group that promotes recycling in Pennsylvania. To attain this certification, a candidate must complete four Continuing Education Units (CEUs), equivalent to 40 hours, and pass an examination. The CEUs come through seminars and classes on various aspects of recycling and composting sponsored by PROP in conjunction with Penn State University Altoona and taught by experts in the industry. Gibson recently passed his test at PROP’s annual conference in Wilkes-Barre. According to Gibson, “Beyond the fact I have a passion for recycling and sustainability, expertise in recycling complements the services I offer as a consulting mechanical engineer in several ways.” For starters, it helps in designing equipment used to sort and process recycled materials. As a specialist in green building, Gibson can research, specify, design, and procure recycled and salvaged materials to use for building projects and assist with recycling construction and demolition waste. When it comes to product design, knowledge of recycling allows him to design products that use recycled materials and disassemble easily to facilitate recycling. PROP places strong emphasis on composting under the realm of recycling; Gibson also designs piping systems and specifies blowers for aerated static pile composting systems. This form of composting is gaining prominence because it offers greater production than conventional methods and provides a means of odor control. Based in Milton, PA, Tom Gibson, P.E. is a licensed consulting mechanical engineer specializing in machine design, product design, and green building. His areas of green building expertise include energy conservation, renewable energy such as solar and geothermal, water use reduction, rainwater harvesting, graywater plumbing systems, and procuring local and salvaged/recycled building materials. Gibson also designs aeration systems for composting facilities, working with Coker Composting & Consulting in Vinton, VA. In addition, Gibson works as a freelance writer specializing in technology and sustainability and publishes Progressive Engineer, an online magazine. For more information, visit www.ProgressiveEngineer.com/consulting.html. Fire is a danger that can impact entire communities. For example, each year in the United States more than 3,000 people die, thousands are injured, and billions of dollars are lost as a result of fire. To combat these significant losses, fire protection engineers use science and technology to make our world safer from fire. Because fire protection engineering is a unique profession that focuses on protecting people, property, and the environment from the ravages of fire, many fire protection engineers find job satisfaction knowing they are making a difference. Despite the staggering economy, fire protection engineers are in high demand and short supply. As such, employers find it difficult to recruit qualified engineers. To find out why fire protection engineering is a rewarding career choice or to get a free copy of The SFPEGuide to Careers in Fire Protection Engineering, visit http://careers.sfpe.org. View our infographic to learn more about the pathways to become a fire protection engineer. Organized in 1950, the Society of Fire Protection Engineers (SFPE) is the professional organization that represents engineers engaged in fire protection worldwide. Through its membership of over 5,000 professionals and 65 international chapters, SFPE advances the science and practice of fire protection engineering. SFPE and its members serve to make the world a safer place by reducing the burden of unwanted fire through the application of science and technology. To become a member, go towww.sfpe.org. BrightFarms has pioneered rooftop hydroponic greenhouses for growing vegetables close to consumers in urban environments, offering myriad benefits such as reduced energy use and transportation costs. One of BrightFarms’ signature projects, this greenhouse sits on the third-floor roof at the Manhattan School for Children. An evaporative cooling system helps maintain optimum temperature for growing plants. Credit: Tom Gibson. I board the Metro North train from Beacon, NY and take it 60 miles south to Grand Central Terminal in New York City’s lower Manhattan, along the way taking in views of the scenic Hudson River. After stumbling around the massive station and asking directions, I take the Uptown No. 1 subway to 96th St. in Manhattan’s Upper West Side. Finally, I walk a few blocks to the Manhattan School for Children, arriving late morning. Hiking up to the third floor, I find a greenhouse on the roof, just what I came to see. Why would I go to all this trouble to see a greenhouse at an elementary school? This one’s unique because it was created by BrightFarms to grow fruits and vegetables using hydroponics in an urban environment. This is part of an effort to grow produce with a reduced carbon footprint by reducing energy use, both in the growing process and the transportation required to bring it to consumers. Based in Manhattan, BrightFarms designs, finances, builds, and operates hydroponic greenhouse farms across the United States, mostly at supermarkets. There is no cost to the retailer to build the facility, only an obligation to purchase the output. BrightFarms enters into 10-year purchase agreements with grocery retailers, requiring them to purchase all the output at fixed prices. Standing next to a rainwater catchment tank in the greenhouse, Zak Adams heads engineering activities at BrightFarms. Credit: Tom Gibson. Their greenhouses typically produce lettuce and other salad greens; leafy greens such as chard, kale, and mustard greens; herbs; tomatoes; peppers; and cucumbers. Most fruits and vegetables can be grown hydroponically but not all are commercially viable yet. Typically, highly perishable fruits or vegetables, which do not store well or suffer from extensive transportation, yield higher prices and therefore justify the investment in the technology. He described the existing roof structure here as “beefy,” saying how greenhouse structures are not relatively heavy, so most roofs in the Northeast, for example, are already built to a 40 psf (pounds per square foot) snow load, roughly equivalent to that of a greenhouse. The school has an aggregate roof with multiple epoxy membrane layers, so they peeled off and removed the membrane, leaving enough to overlap onto the greenhouse. With the roof providing adequate overall structure, the concern shifts to point loading. The roof has girders, or I-beams, every 15-20 feet, but these didn’t match the spacing of the loads in the greenhouse, mainly water tanks. So they put in dunnage I-beams perpendicular to the girders for them, placing the loads over the girders as much as possible. Concerning the greenhouse itself, Adams says, “What you see here is pretty typical for greenhouse construction.” It has single-pane glass around the sides and double-layer polycarbonate on the roof, which is actually the opposite of how it would normally be done. They normally put glass in the roof to get the most sun exposure -- “you want the glass in the roof as clear as possible because that’s critical to plant growth.” However, school rules would’ve required safety glass with wire in it to provide extra protection for students, and this would’ve been extremely expensive. They used glass for the walls mainly so the students could see out better. Lettuce and other greens are grown in water-filled tubes in a process known as succession planting. Credit: Tom Gibson. Where they do use energy, they try to use renewable sources as well as waste energy from a host building, explaining why they build on rooftops. If an adjacent building generates waste heat from a process, for example, they pipe it into a greenhouse. Much of the inspiration for BrightFarms came from founder Dr. Ted Caplow, viewed in the industry as an urban farming visionary and pioneer in rooftop sustainable greenhouse development. Born in New York City and raised in Virginia and Massachusetts, Caplow has a B.A. in sociology from Harvard, an M.S. in mechanical and aerospace engineering from Princeton, and a Ph.D. in environmental engineering from Columbia?. Formerly a clean energy consultant for Capital-E, Caplow, 42, worked on energy efficiency and carbon offset credits for a range of clients including the California Energy Commission and the U.S. Department of Energy. His expertise lies mainly in the area of integrated system design, with specialties in renewable energy, water contaminant dynamics, and technology assessment. In 2006, Caplow founded nonprofit New York Sun Works to promote the use of hydroponic greenhouses for sustainable urban agriculture practices. Its mission was the design and promotion of ecologically responsible systems to produce energy, water, and food within the urban environment. In 2007, NYSW launched the renowned Science Barge, a prototype urban farm. Constructed on a steel deck barge and moored on the Hudson River in midtown Manhattan, the Science Barge serves as a public demonstration of renewable energy supporting sustainable food production. Its greenhouse electrical systems are powered by solar, wind, and biodiesel. The Science Barge also acts as an environmental education facility for students of all ages. BrightFarms co-founder Dr. Ted Caplow has graduate degrees in engineering. Courtesy Ted Caplow. In 2008, Caplow founded BrightFarm Systems, a consulting firm providing technical services in support of rooftop greenhouses and building integrated agriculture. Then, in January 2011, BrightFarms resulted from the merger of Better Food Solutions and BrightFarm Systems, with the company’s staff absorbing into the new company. Caplow co-founded BrightFarms with Paul Lightfoot, who now serves as CEO. Caplow serves as president of the board of directors, a shareholder, and an investor, all with the role of oversight and strategic guidance. The initial mission of BrightFarms has been to establish sustainable urban agriculture and educate people on it, explaining why they started with schools. Opening in 2010, the Manhattan School for Children greenhouse was a project of NYSW created out of the school community’s desire for a more sustainable campus and environmentally focused curriculum. It serves over 700 students Kindergarten through 8th grade in addition to training educators from around the city, region, and world. The company has evolved over time to the point where BrightFarms focuses mainly on commercial retail clients that can handle the high volumes of produce that come out of their greenhouses, including grocery stores and produce distributors. As an example, BrightFarms signed the grocery industry’s first long-term produce purchase agreement (PPA) with McCaffrey’s Market, under which it will deliver year-round local produce to McCaffrey’s, an independent grocery with stores in Pennsylvania and New Jersey. Located in Yardley, PA, the 50,000-square-foot greenhouse will grow about 500,000 pounds of produce a year. BrightFarms has also designed and installed a demonstration-scale urban greenhouse for a new Whole Foods Market store in Millburn, New Jersey. This was designed to produce herbs for use in Whole Foods prepared food services as well as for general sale and involved lines of vertical growing towers deployed along the window frontage to make best use of available light. With input from myriad sensors, a computer controls the greenhouse. Courtesy BrightFarms. Headquartered in a house near Grand Central Terminal, the multidisciplinary BrightFarms team has expertise spanning horticultural sciences, engineering, ecology, energy analysis, environmental education, and produce marketing. Adams reveals, “We went from having three employees in November of 2011 to 16, so we’re definitely in a state of expansion.” The 32-year-old Adams has been with BrightFarms since it started and provides oversight and management of all design and engineering duties. He has played a role in the design and building of all the firm’s greenhouse projects to date. What kind of training does an engineer typically have in this business? Hailing from Camden, New Jersey, Adams has a ?B.S. in human ecology and agroecology from Rutgers and an M.S. in ecological design from the University of Vermont, and he’s LEED AP certified. 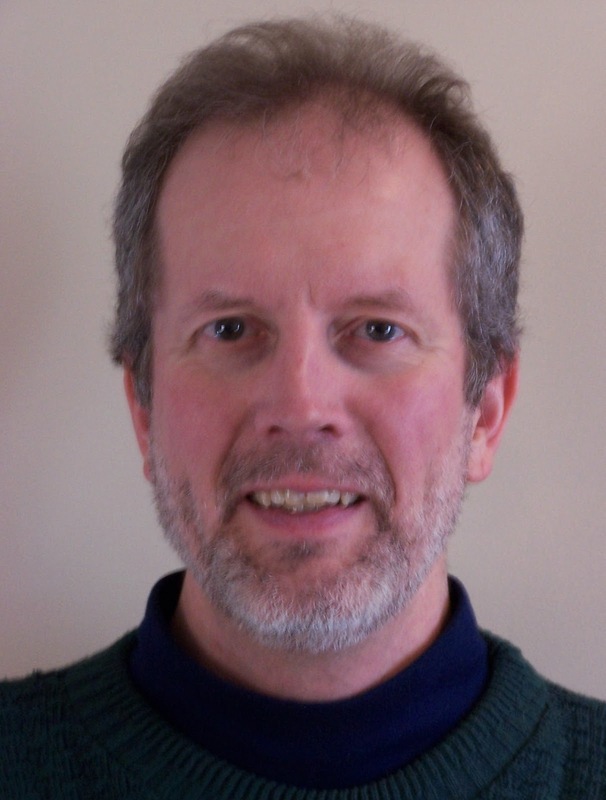 At the University of Vermont, he did his graduate work under John Todd, prominent in ecological technologies and well known for inventing the Living Machine, and he modeled, developed, and constructed agricultural and renewable energy systems. After that, he worked with New Jersey Community Water Watch, Edison Wetlands Association, Ocean Arks International, Intervale Foundation, the U.S. Department of Agriculture, the Vermont Alternative Energy Corporation, and Delaware Valley Eco-Fuels. “If anyone asks me what my real profession or trade is, I always say ecological engineering because it involves taking the built environment and mixing it with the natural environment and marrying them to create a functioning system that serves a purpose for humanity. I’m definitely a student of biomimicry,” Adams relates. Besides structural considerations, another important facet of a greenhouse is heating and cooling it. Adams takes me through the hierarchy of systems at the school. They have a side guillotine vent with panels that slide up and down like windows for cooling with natural ventilation -- this is the first stage of temperature control. Fans are the second stage; two big ones loom at one end of the greenhouse. An evaporative cooling system mounts in the wall at the other end of the building -- the third stage. Vine plants such as nasturtiums grow in the greenhouse. Credit: Tom Gibson. The final stage: curtains. These are aluminized plastic, meaning polypropylene with aluminum strips threaded through them; the aluminum reflects heat, like a space blanket. They go on the roof most commonly but can also be deployed on the walls. They open and close with a motor-and-push rail system controlled by computer. It generally extends the curtains at night when the interior air temperature falls below 60 F, then they will be drawn back just after sunrise, unless it is cloudy. In addition, an air-source heat pump sits outside for heating and air conditioning, mainly for heating. Next, Adams shows me the greenhouse’s rainwater catchment system, which gathers most of the water they use in gutters along the lower edges of the roof, like on a house. From there it flows to two 350-gallon HDPE tanks connected to act as one tank. A small flotation tank on one of the tanks siphons off the first 40 gallons to catch dirt and debris, and they flush that out at the bottom of it. Adams describes the system overall as “similar to a home water system.” It operates at 40 psi and has a UV lamp filtration system to sterilize the water. All the growing systems have reservoirs with a float valve and pump. At the core of the plant production process, rows of small plants growing out of tubes mount on sawhorses. The tubes have a thin layer of water in them. The plants actually start life in trays, where they stay for about two weeks before moving to the tubes in a process known as succession planting. They constantly rotate the plants to get a consistent harvest. In another area, vines grow out of a tub on the floor, yielding tomatoes, cucumbers, and peppers. Against one of the end walls, between the two fans, a form of vertical farming stretches out that they’re testing, like a collapsing ladder with plants mounted on the rungs. Known as a vertically integrated greenhouse (VIG), you can raise it several stories, but it collapses to ground level so you can work on it without ladders. Caplow and Adams designed and patented this.